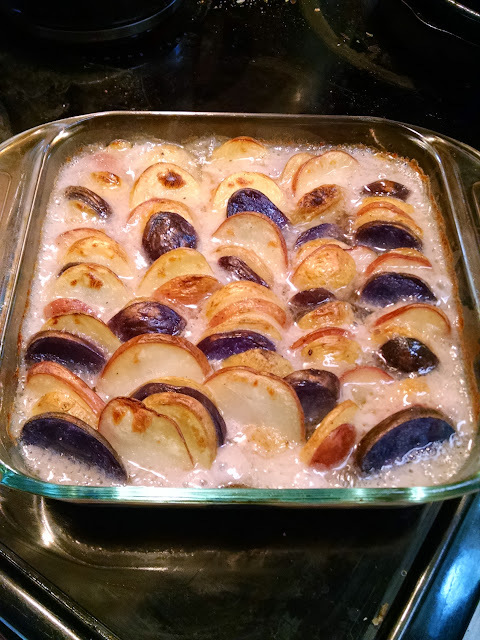 Dr. Jean Layton-Gluten Free Doctor: Coconut Scalloped Tri Color Potatoes. Coconut Scalloped Tri Color Potatoes. Simplicity itself, this recipe has two ingredients. Well, as long as you don’t count salt and pepper, and I never count those. I created this for a dairy allergic friend who had a big birthday event. This makes any meal truly special. The coconut milk combines with the natural starch from the potatoes to create a creamy sauce without any work on your part. So if you are the one making sure that the red, white and blue theme is perfection, you’ll have plenty of time to get everything else done. Click on over to Idaho Potatoes for the method and serving ideas. Tip: If you need to feed more people, you can easily double this recipe, using a 9x12 pan, 4 pounds of potatoes and two cans of coconut milk. Tool Tip: A Mandoline is a simple hand tool with a very sharp blade, and a measured gap to create uniformly thin slices. I love my Oxo handheld simply because it slips into a kitchen drawer with ease. 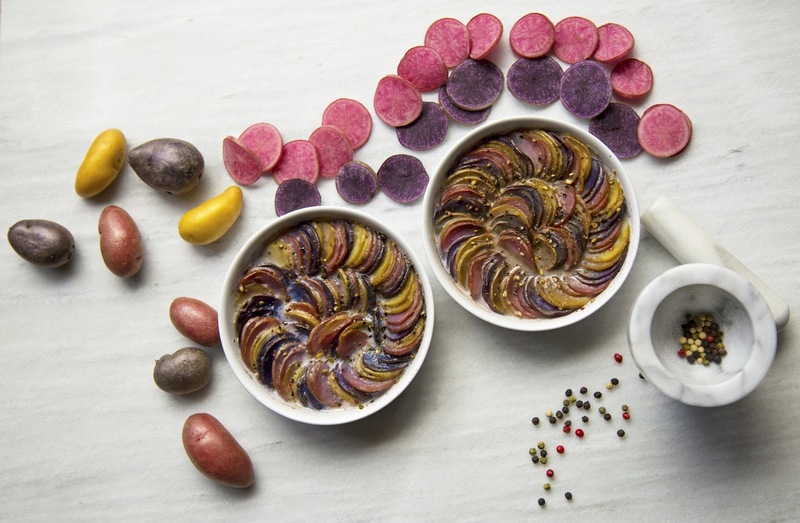 As a proud Idaho© Potatoes Featured Blogger, I was compensated for writing this post.